Stockholm has a well-developed central, regional and local government structure that provides strong leadership at a local level. It would be interesting to learn how they have managed to integrate their private and public sectors to create a shared culture of ‘delivery’ of their municipal responsibilities whilst maintaining a strong sense of civic and citizen involvement in the process. There are useful comparisons and contrasts with the UK’s current and proposed ways forward for devolving governance to ‘city regions’ that would be worth investigating. An already increasing population that is set to continue at a high level and in particular ever increasing levels of immigration has meant that Stockholm has recently experienced social and economic problems that did not exist before. A long period of peace within a homogenous population having adequate welfare, growth and equality has started to be affected. There are some tensions between the native-born residents and the newly arrived immigrants and last year hundreds of immigrant youths rioted for four nights in the Husby suburb. Stockholm’s housing situation has been identified as the main obstacle to continued economic growth. The city is dramatically increasing the pace of construction of new homes and planned infrastructure investments in Stockholm are currently worth 103 billion euro until 2021. Stockholm and the wider Malardalen region are growing rapidly. The latest forecasts indicate a population increase of 40,000 per year. By 2030, more than one million people will be living in just the city of Stockholm itself. This expansion is placing great pressure on accessibility, public services and new housing. There are currently some 30 large-scale developments and infrastructure projects underway or being planned in Stockholm. How Stockholm is dealing with the need to provide a wider disposition of social amenities and in particular adequate housing in and around Stockholm City and how this is affecting the established major new developments planned and commenced some years ago is an interesting area for learning. The City of Stockholm is very much at the forefront of environmental protection with the goal of being a world-class, growing, sustainable city. In 2010, Stockholm became Europe’s first environmental capital. Since then, the City has continued to work actively on the sustainable development of the City environment, green spaces and the transport system. Stockholm has identified the environmental profile areas with the objective of becoming an international role model for sustainable urban planning. Royal Seaport Innovation is established as an arena for innovation, learning and collaboration in connection with the decision to environmentally profile the urban development in Royal Seaport. To meet the ambitious environmental targets in Royal Seaport, diverse expertise has been combined from the City, the business sector and universities and new approaches, processes and methods have been applied. Sustainable urban development involves many social challenges. Stockholm has over the last year actively engaged with local, national and international visitors who have wanted to learn more about how they are delivering sustainable urban development and there is clearly an opportunity for the AoU to also become involved and learn from Stockholm. The Stockholm Assessment has been prepared without provision, by the City of Stockholm, of a ‘Self-Assessment’. Although there was no formal input from the City of Stockholm during the Assessment team’s visit, formal meetings were held with local people and informal discussions held with additional input from fellow Academicians. The assessment report has therefore relied to a greater extent than usual on observations made and information gathered during the visit, supplemented by specific subsequent research by way of a desktop study and further enquiries with Stockholmers. The population of Stockholm, estimated at 897,000 in 2014, has a density of 4,700 people per square kilometre, or 12,000 per square mile. The Stockholm metropolitan area has 26 municipalities with a population of more than 2.1 million, while the Stockholm urban area has an estimated population of 1.4 million. Most people live in the City of Stockholm followed by the municipalities of Huddinge, Nacka and Botkyrka. The city is spread across 14 islands with 57 bridges located on the Baltic Sea coast in the south east of Sweden at the mouth of Lake Malaren, part of the Stockholm Archipelago. The area has been settled since the Stone Age, in the 6th millennium BC, and was founded as a City in 1252 by Birger Jarl. The Stockholm region accounts for over a third of the country’s GDP and is among the top 10 regions in Europe by GDP per capita. Stockholm regards itself and ‘badges’ itself as the ‘Capital of Scandinavia’. 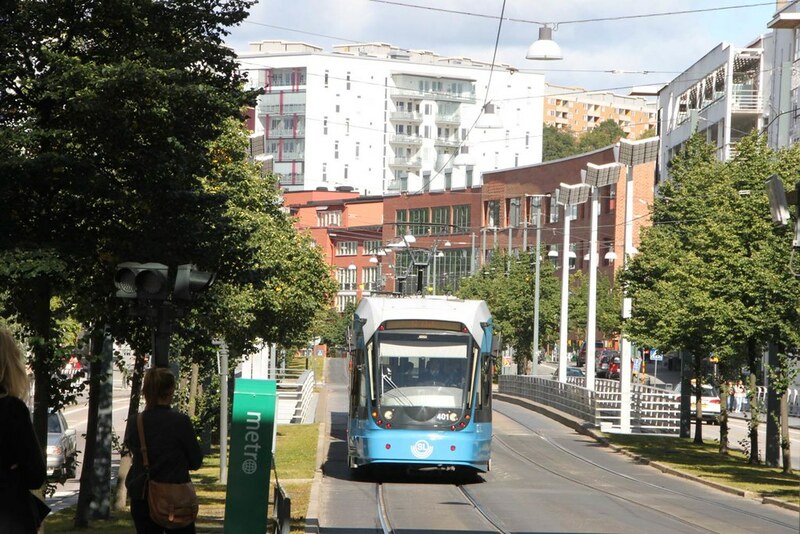 Stockholm features regional green wedges that connect from central city parks to the suburbs of Stockholm County. These create human enjoyment and aid in maintaining the natural biodiversity of the area. There are 12 large parks in Stockholm, each over 200 acres. These account for one third of Stockholm’s total open space. Stockholm is one of the world’s most beautiful cities, rich in history. The city’s water, its proximity to nature, its outstanding heritage environments and numerous listed buildings are qualities appreciated by both the people of Stockholm and visitors from around the world. The Government of Sweden has its seat in the Rosenbad building, the Riksdag, a unicameral legislature with 349 members (Riksdagsledamoter), elected proportionally on a fixed four-year term. The Riksdag is seated in the Parliament House and the Prime Minister’s residence is adjacent at the Sagar House. The Stockholm Palace is the official residence and principal workplace of the Swedish monarch, while the Drottningholm Palace, a World Heritage site on the outskirts of Stockholm, serves as the Royal Family’s private residence. Construction of the palace began in the seventeenth century and it is surrounded by a park and several unique buildings, including the Chinese Pavilion and the Palace Theatre. Stockholm has three UNESCO World Heritage Sites. Drottningholm, which the Stockholmers call the Nordic Versailles, the Woodland Cemetery, where Greta Garbo is buried, a fine example of modernist architecture, created by Gunnar Asplund and Sigurd Lewerentz and Birka which was the most important trade centre in the Viking Age with ancient remains, a reconstructed Viking village and a museum. The City Council functions as Stockholm’s parliament. Its 101 Councilors are appointed following general elections held at the same time as the elections for the Riksdag and for the county councils. Following the Stockholm municipal election in September 2014, the city is run by a centre-left majority made up of the Social Democrats, the Green Party, the Left Party and the Feminist Initiative Party. They secured 53 seats in the city council, giving them a majority over the 48 seats won by the opposition parties. Karin Wanngard, the current Finansborgarrad (Municipal Commissioner for Finance), elected by the Stockholm City Council, is also Kommunstyrelsen, (Chairman of the Municipal Council) and is regarded as the Borgmastare (Mayor). She is a Social Democrat (born 29 June 1975) and has been a city councilor of Stockholm Municipality since 1994. In the general election, the centre-right Alliance for Sweden coalition (comprising the Moderate Party, Liberal People’s Party, Centre Party and Christian Democrats) sought a third term in government. In contrast to the previous election, the three largest left-wing parties (the Social Democrats, Green Party and Left Party) ran independent campaigns, as did the far-right Sweden Democrats. The fourth left-wing party, Feminist Initiative, did not secure the 4% threshold. The election result saw the three left-wing parties outpoll the Alliance for Sweden, with the two blocs respectively winning 159 and 141 seats. The Sweden Democrats doubled their support and won the remaining 49 seats. Fredrik Reinfeldt, the incumbent prime minister was replaced by Stefan Lofven, who formed a minority government consisting of the Social Democrats and the Greens Party. Stockholm Municipality is an administrative unit defined by geographical borders. The semi-officially adopted name for the municipality is City of Stockholm (Stockholms Stad). As a municipality, the City of Stockholm is subdivided into district councils, which carry responsibility for primary schools, social, leisure and cultural services within their respective areas. The residents can, in many cases, give their opinions via their district council’s office, or online. The municipality is usually described in terms of its three main parts: Innerstaden (Stockholm City Centre), Soderort (Southern Stockholm) and Vasterort (Western Stockholm). Stockholm is divided into 14 district councils with the same responsibility and authority as the City’s other committees and boards. The difference is that the district councils work within their respective geographic areas and have the overall responsibility for their activities. For example, decisions on parking or childcare can therefore be made closer to the resident, in the district council. The City of Stockholm’s leadership still has the comprehensive responsibility for issues concerning the entire municipality, e.g. municipal tax and the City’s common budget. The major part of the City’s resources – three-quarters – is passed on to the district councils. How much each district council receives depends on its individual needs, such as number of inhabitants, age and living conditions. The distribution of seats between the political parties in a district council corresponds to the proportion of seats they hold in the City Council. The political parties propose the members who will represent them. The City Council then approves their appointment. District council members are politicians in their spare time and their mandate period is four years. For certain tasks of a fundamentally local character, each county has an elected county council. The county councils are responsible for matters of common interest, which are too extensive and too costly for individual municipalities to manage. This mainly concerns health care, which is the county councils’ major responsibility, but also dental care, public transport, support for business and industry, and regional growth and development. ‘Vision 2030’, a long term, complete vision for the city’s development and sustainable growth, was developed by Stockholm’s city departments, administrations and companies, along with several external partners. In spring of 2006, a project entitled “Vision Stockholm 2030” outlined an overall, long-term vision for the sustainable growth and development of Stockholm. The project was managed by the Executive Office, and developed through dialogue with spokespersons for the City itself, including representatives of trade and industry, schools and universities and other public authorities. “Vision Stockholm 2030” was formally adopted by the Stockholm City Council in June, 2007. The vision is illustrated by examples of the initiatives and projects that will lead the City on the right path towards making the vision real. The vision also outlines several overall strategies that will be central to the implementation of the vision. The City Planning Administration, under the City Planning Committee, is responsible for both comprehensive and detailed planning for the City of Stockholm. It also issues building permits, registers property and land, provides maps and administers housing subsidies. The City Planning Committee has drawn up a new City Plan, a process driven by the City Planning Administration with broad cooperation across the City of Stockholm. Work started in autumn 2007 and ended with Stockholm City Council adopting the plan in March 2010. Governed by the Planning and Building Act, which requires public consultation and exhibition, the process has been characterised by a dialogue about the future of the city. The new City Plan, ‘The Walkable City’, functions more as a strategic navigation tool than a traditional land use plan. The City Plan shows how Stockholm will meet its Vision 2030 goals and provide clear guidance regarding the city’s intentions and objectives for sustainable development. The plan also serves as policy guidance for the entire city’s areas and functional responsibilities. The Stockholm Region contains about 40% of the housing stock in Sweden, the majority, approximately one million residences, in Stockholm County. The housing situation is the city’s main obstacle to continued economic growth. The city is dramatically increasing the pace of construction of new homes and planned infrastructure investments in Stockholm are currently worth 103 billion euro until 2021. The latest forecasts indicate a population increase of 40,000 per year. The City has now increased its target for new housing from 6000 units per year to 7000 and the current 2015 programme is ahead of this. By 2030 more than one million people will be living in just the city of Stockholm itself. This expansion is placing great pressure on accessibility, public services and new housing. There are currently some 30 large-scale developments and infrastructure projects underway or being planned in Stockholm. The Stockholm Region is Sweden’s largest university and higher education region. In 2014 there were 111,000 full-time students with 61,200 situated in Stockholm County. The unemployment rate in the City of Stockholm and Stockholm County was about 7% in 2014.